Collaboration between school-day, afterschool, and summer program staff leads to successful SEL implementation. 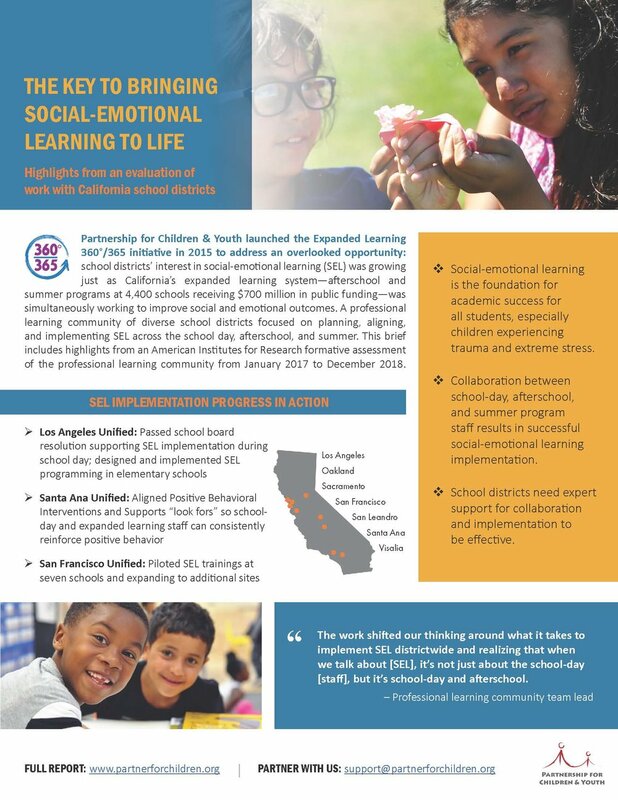 Partnership for Children & Youth launched the Expanded Learning 360°/365 initiative in 2015 to address an overlooked opportunity: school districts’ interest in social-emotional learning (SEL) was growing just as California’s expanded learning system was simultaneously working to improve social and emotional outcomes. A professional learning community of diverse school districts focused on planning, aligning, and implementing SEL across the school day, afterschool, and summer. American Institutes for Research evaluated the professional learning community from January 2017 to December 2018. Interest in SEL among California educators systemwide continues to grow, and demand for proven, effective planning and implementation support far outweighs supply. 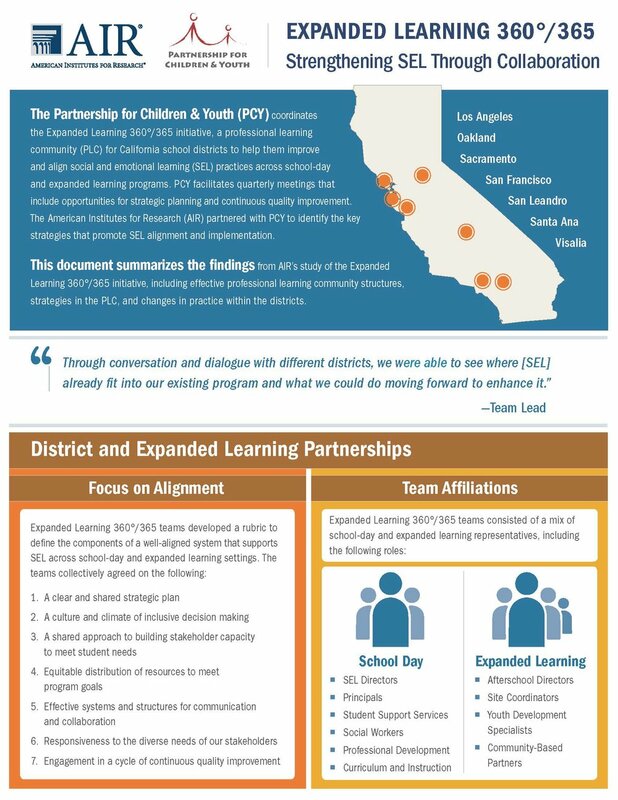 Partnership for Children & Youth is eager to leverage the tools and strategies from Expanded Learning 360°/365 to deepen and expand SEL support for school districts, county offices of education, and expanded learning programs in more communities across California. Read the four-page summary of AIR’s findings. Read the full evaluation from AIR.